Technology and Healthcare: Do the two go hand-in-hand? Few would disagree that technology has impacted pretty much every industry going, but when it comes to healthcare it could be argued that there are even more sceptics. After all, due to the nature of this industry, there is slightly more caution in relation to trying new technologies due to the life-and-death factor. Of course, we're not talking about medical advances and new forms of treatment. For example, few would disagree that these Michigan pain specialists haven't benefited from technology; it's something that has fueled their treatment options. Instead, we're referring more to the "behind the scenes" influence of technology on healthcare. Through the course of this guide, we will now take a look at some of the areas in which this has impacted it. To the Average Joe who perhaps doesn't have a true insight into the medical industry, this is arguably the most notable development. Previously, examinations simply had to involve a face-to-face scenario. Nowadays, this doesn't have to be the case. More and more doctors around the world are buying into remote examinations. Sure, this isn't something that will apply to intricate procedures, but for minor complaints that might only require a conversation it's a significant time-saver. 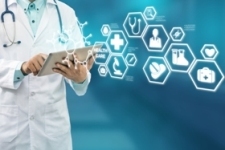 Patients can speak to their physician over the internet, with a video call allowing them to at least show visible symptoms to the doctor in question. It means that doctors are able to have more appointments, and ultimately be more productive. 3D printing is something that is often associated with manufacturing. The fact that entire houses are now being created with such technology means that many of us shouldn't be surprised to see that it has also made its way into the field of medicine. 3D printing is being used to print everything from synthetic skin to prosthetics. It's again been a complete game-changer. This is another one of those advancements which is probably more appreciated by the end patient. Real time monitoring of symptoms used to be an expensive task, but through a combination of the smartphone and wearable devices this is no longer an issue. For example, some of these apps are able to monitor blood sugar levels and ultimately deliver crucial information to those people suffering from Type 1 diabetes and requiring regular insulin injections. Alternatively, some devices can monitor heart rate and can again deliver immediate feedback, which in some cases might save a life. There are even some that look to monitor bipolar symptoms. In the medical world, there's no doubt that sharing really is caring. The more information that physicians can share, the more benefits that a patient can have access to. Unfortunately, up until recently, this hasn't always been possible. Hospital systems might have been housed on completely different platforms, and this meant that other establishments might not have had access to them. Now, through the cloud and other means, this isn't the case. All information can easily be accessed by those that require it, and this again reduces the amount of time physicians are "wasting" on admin tasks.